If you haven’t heard about SEO, then you must be living in a box. SEO (search engine optimization) is mainly for expanding your business around the world through internet. This technology or skills or feature is going to work on your website or product to maximize its reach around the globe on the search engine. But, is it really important? Should we use these on our website? Is it credible? Let me tell you its importance for your site. SEO is cheap compared to other features people use to market their website. Like, you see on Facebook, people pay some money to get traffic to their website. Like paid ads but we all know that after some time that traffic will eventually decrease. This is where SEO helps. It will make that traffic to last whole life. You don’t need to pay a significant amount of money for some traffic. You just need a little effort, and the rest is the burden on SEO. If your competitors are doing it, then it must mean that they mean that, they must be getting some benefit out of it. If you do not use it, then they will use all the traffic to their selves and eventually will beat you. This is where you need to be updated, and use it for your good. People trust SEO. They know that this procedure is going to make you reach the top in google search engine. As the Google search engine is credible and long lasting, SEO is going to make that possible with ease. 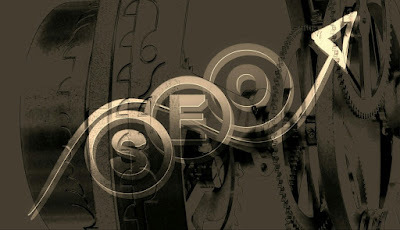 If you don’t know much about it then, you should hire a SEO services company. Who will not only guide you towards the goal but will help you even afterward. Whenever someone searches something on the web, they click on the first web they see in the results. This is where SEO helps you. Not only it is going to make your website come to the first place but, with the continuous effort, it is going to make that last there forever. SEO is the only tool which can make it happen. If you still have some doubt, then you should know that SEO result is permanent. Unlike adverts, SEO is a tool which can work for your website and product for all time. You just need to hire a good company who will give you that service, and in some time you will see that how much optimized your website and products will be. It has worked for every major company, and it is definitely going to work for you too. So from above, you can see that how much important SEO is for your website. Not only that is it cheap but also effective. SO if you are looking for the excellent result, then you should not wait for anything but to work on it before it is too late.